Two weeks. Two WEEKS people!! We've been in school, with students, for two weeks already. It's been an adjustment this time around with other events coinciding with the beginning of school that pulled me away for a day or two. 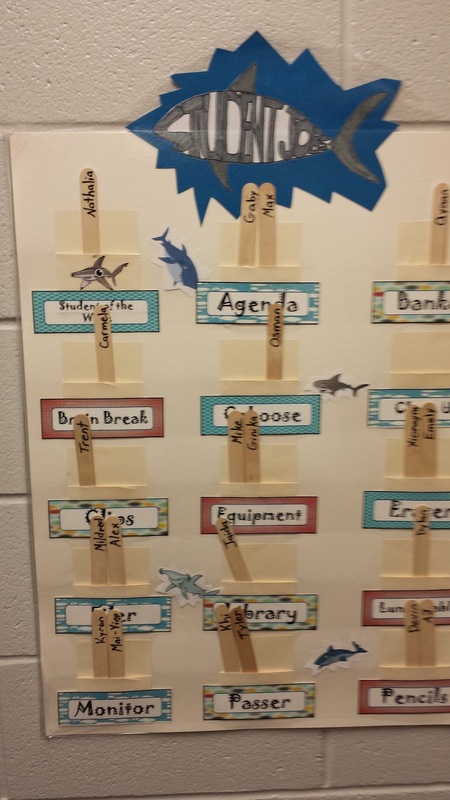 Trying to get into the swing of procedures with my students. So far I'm impressed with them and already see more solid academic skills than in the past. But that's not what my post is about. 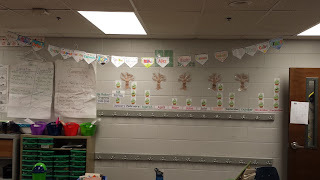 I wanted to share some ways to label items in the classroom and ask if y'all do anything different. This way I can tweak my system to be more effective. I've got student names all over everything in the room. From notebooks to writing workshop boards, I plaster their names everywhere. Which I am more than certain each of you do the same thing! I usually start with a Tagxedo design with all of their names incorporated into it. The site is easy to use once you know where everything is (psst: Theme refers to the color scheme). You simply pick a shape, type your class list in and hit submit. I like writing their first names three times so that they appear larger than the last names. The students still love looking through it for their names by the end of the year. I post this on the door for the first day of school. It's a great HELLO as they come in each day. 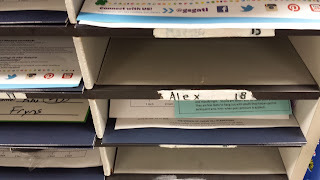 I have a mailbox system for notes that need to go home and for their behavior cards. I have a classroom job called a Filer that places graded papers in the boxes and I don't have to worry about it. Makes it so much easier on me to just stick a stack in the File Box and know they'll take care of it. I also have their names on large popsicle sticks found at the craft store so they can make their choices fro the Job Chart each week. On Fridays it's someone's job to put the sticks on everyone's desk for Monday morning. For the Writer's Workshop chart. I have clothespins with their student numbers on them. They move them according to which stage they are on. This is a great way for me to get a class overview right away. I can talk to those friends who have been in the planning stage for way too long and push those in the Rough Drafting stage to find a good spot to end their stories. 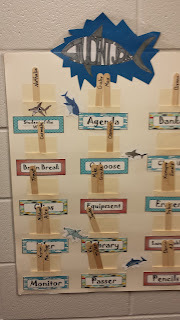 For my Behavior Chart we also keep it vague with student numbers so they won't have their names on the "Needs Improvement" section for all to see. We also use student numbers on all of their textbooks and consumables. This way I can reuse them every year. Okay, your turn. 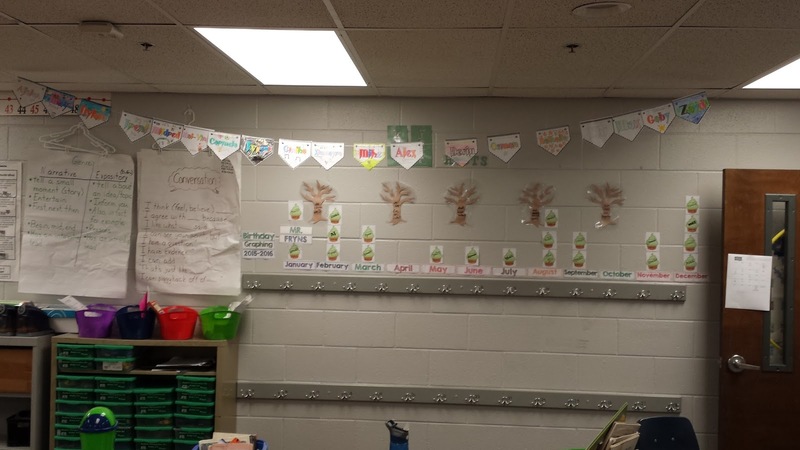 How do you label things in your classroom?